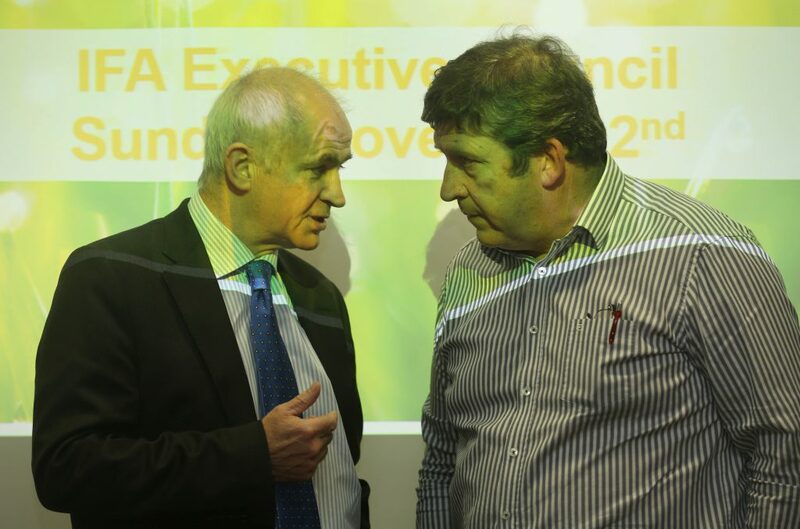 Former IFA President Eddie Downey and Deputy President Tim O'Leary. 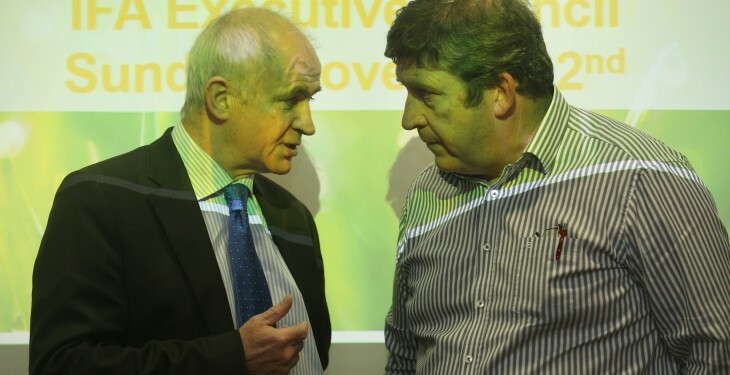 The upcoming IFA Presidential election looks set to be a win-win outcome for Tim O’Leary, who stepped aside from the role of acting President of the IFA this week. The move by O’Leary means he is not vacating the role of Deputy President but, in fact he resumes his role as Deputy President – a role which has a term to run until 2018. This means that, under the current rules and regulations of the Association, O’Leary will- in the worst case scenario – remain on as Deputy President even if he loses in his bid to become President of the Association. There cannot be an election for Deputy President until, and only if, O’Leary vacates the position of Deputy President. If O’Leary does not win the presidential race, he will have approximately 18 months left in office as Deputy (depending on when the election takes place next year). O’Leary was the first candidate to announce that he would run for the role of President, in the wake of Eddie Downey resigning. Since then a number of people have ruled themselves out of the race, including Treasurer Jer Bergin who has been appointed Chairman in the wake of O’Leary stepping back form Acting President. Derek Deane is expected to run in the election, but has said he will not make an announcement until there is an election date set. Other possible candidates at this time include Henry Burns, who has remained quiet about the subject in recent weeks. Other names being suggested in various quarters at this point include Teddy Cashman, Sean O’Leary and Flor McCarthy.